The Masters is the year's first men's major and for many is the real beginning of the golf season, but if you haven't received an invitation compete at Augusta National - which is unlikely - and still fancy a bit of competition, Bunker Mentality is running its own Bunker Virtual Masters on Wednesday 10th April, coinciding with the iconic Par 3 Contest from Georgia. Played at Charnwood Golf & Leisure Complex, Loughborough, you can enter teams for the two hour event - held between 7pm and 9pm - which will see entrants participate in challenges using TopTracer on the range, providing the best virtual golf experience. There will be three events on the night, a TopTracer Skills Challenge, a Longest Drive Contest, and finally the chance to play nine selected holes on Pebble Beach, the legendary Californian venue that will host this year's U.S. Open in June. Anyone - non-golfers are welcome - can enter, either as a single (where you'll be paired into a group), in twos or as a team of three. Prizes will be available across each category, with an individual prize for the biggest hitter. 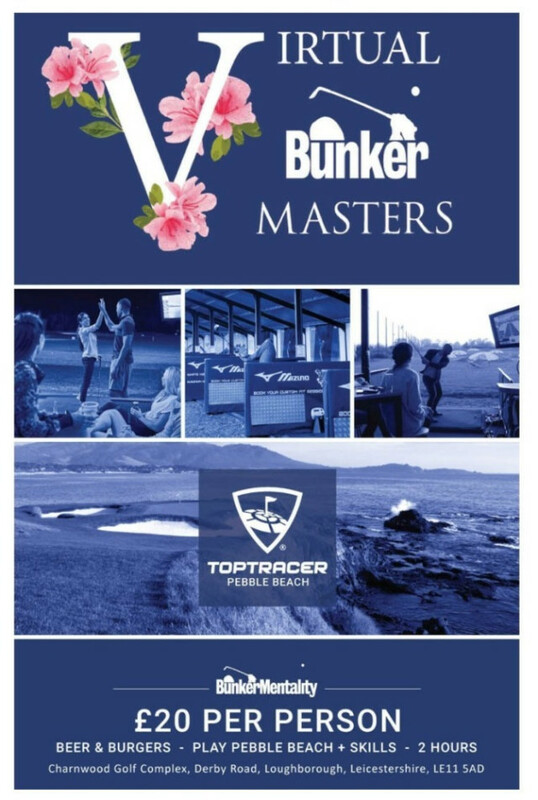 Cost for the evening is £20pp, and that includes the TopTracer Challenges, range balls, a welcome drink and burger/hot dog, with seating available in each bay, waitress service and licensed bar, ensuring for a great time to be had for all. Places are limited, so if you want to get involved, you better be hasty, and tickets can be purchased by clicking here.